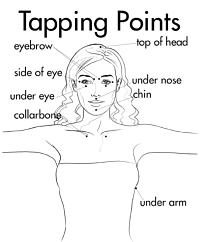 EFT, also called Meridian Tapping or Tapping, is a powerful and easy-to-learn technique that can help YOU transform your limiting emotions, beliefs or thoughts. EFT is based on the premise that a disruption in the body’s energy system is the cause of all negative feelings and emotions. EFT uses the same energy meridian system of the body that is used with acupuncture and acupressure. By tapping on the energy meridians, you remove the energy blocks and rebalance the energy systems allowing energy to flow freely. How do I learn how to use EFT? You can learn to use EFT on your own through books, seminars or workshops or you can learn it from a coach or practitioner. I have personally worked with EFT for several years and use it with my clients. I have found it to be one of the quickest and most powerful ways to transform negative emotions, raise your vibration and align your thoughts, beliefs, feelings to what you desire. Why use an EFT Coach or Practitioner? Statistics show that EFT is more effective when working with a coach or practitioner. You can make progress on your own with EFT, but when working with core beliefs, it's helpful to have a coach. Many core beliefs are unconscious and you may need a coach or practitioner to assist you in clarifying them. In addition, instead of you having to think about the tapping points and sequences while also focusing on the issue you are working on, a coach/practitioner can guide you through the process and allow you to more effectively observe, feel and release the negative thoughts, beliefs and feelings.